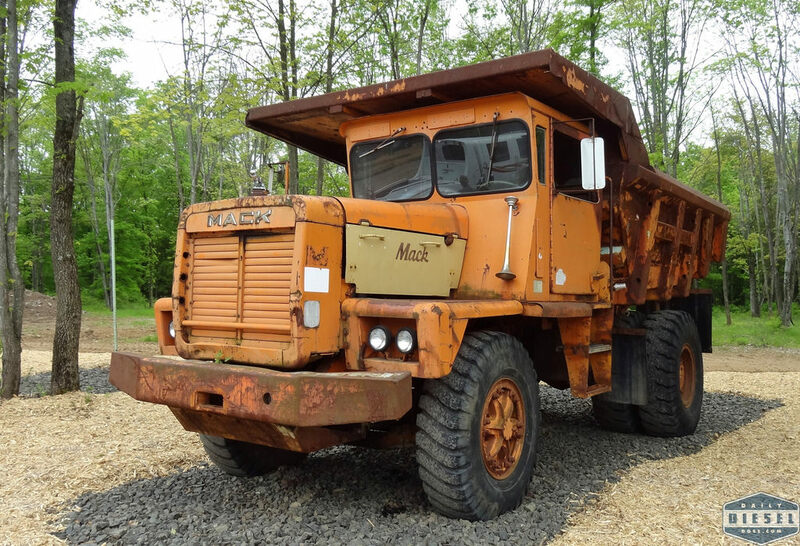 If I had a dump truck like this Mack M-Series I would need to have a pit out behind the house where I could move dirt from one pile to another. 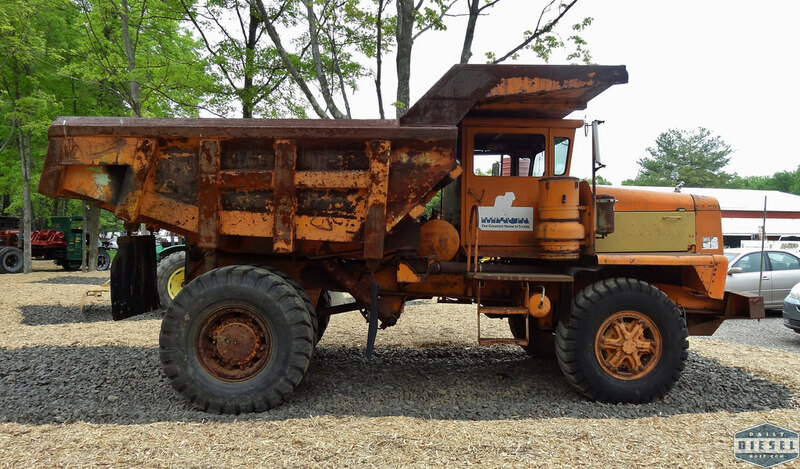 Not for any project but just to play in the dirt. The sandbox for the kid at heart. 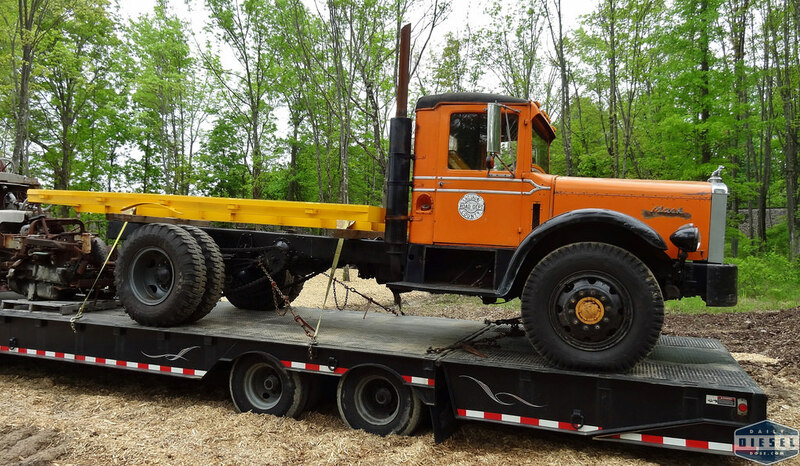 By all accounts this model of Mack was expertly designed and constructed for its task of quarry and off road hauling. 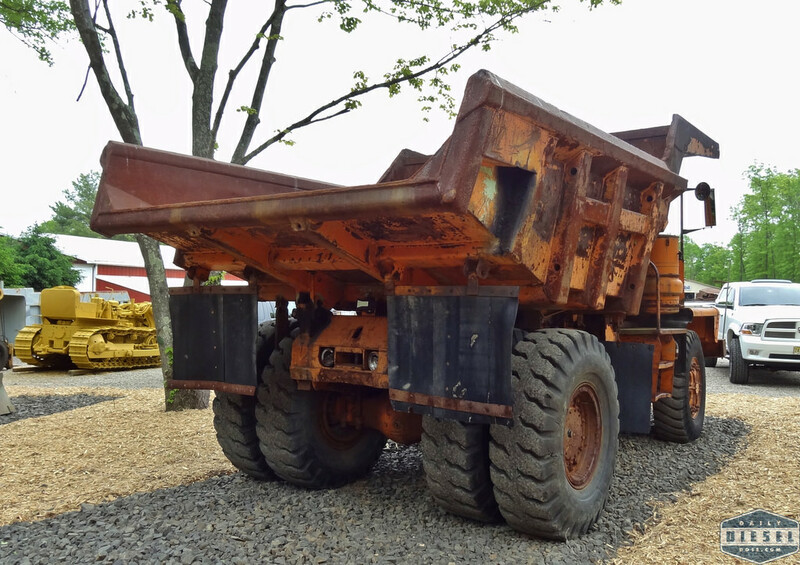 Perhaps it was a victim of its own success as the truck was so well built the need for replacement was low. Mack owner hyperbole or truth? You decide. Next to the off road behemoth sat this model on a trailer along with many other parts. I’m unsure of the model but it looks old. But not that old. Great shape either way. 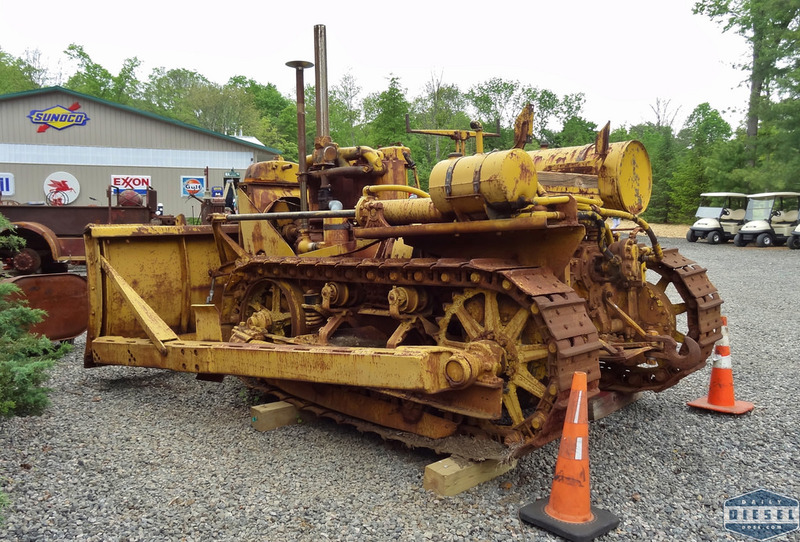 In the imaginary sandbox I would also have need for a dozer or two. 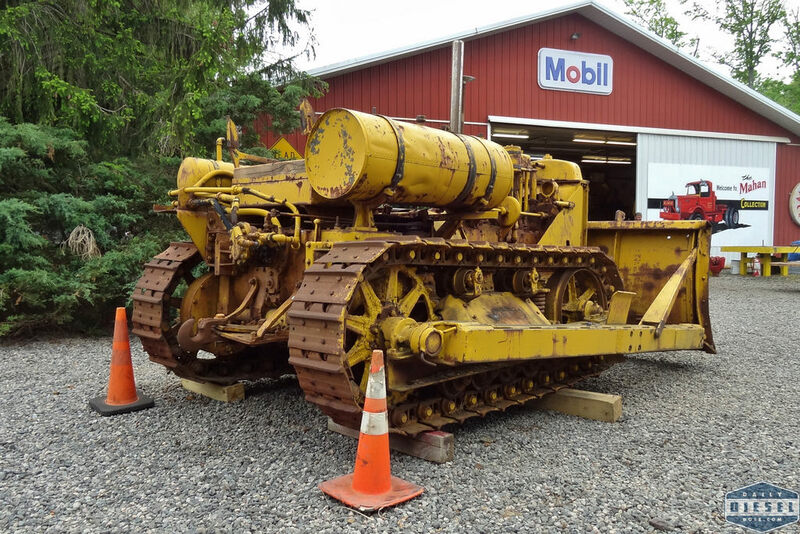 Maybe something like this Caterpillar Sixty. 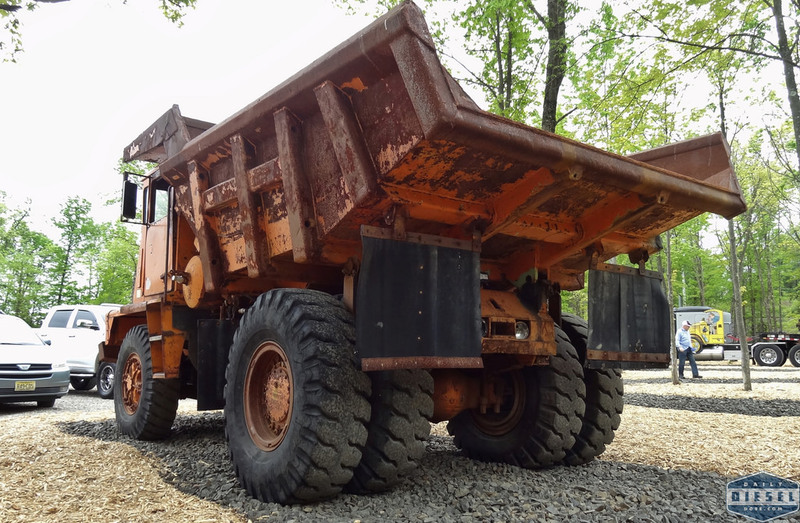 Below, a minimalist video take on the big Mack dump truck. 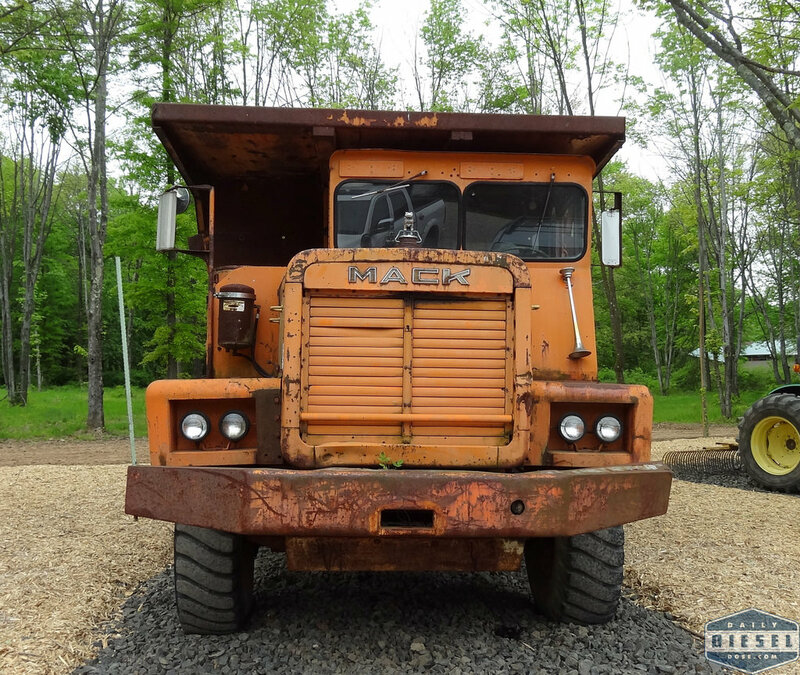 Old Mack is 30 B series, probably BM or BX.